We offer quality and affordable roofing replacement in your area. Is your roof looking like it could use a little love? Is your roof damaged and needs to be replaced? 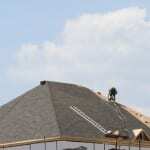 If you are in the Midhurst, Ontario area, we can help you at Slippery Slope Roofing. We have been providing the great people of Midhurst with quality and affordable roofing replacement services for a long time. We bring over 50 years of experience to every job we do and when you work with us, you are working with some of the best in the business. Customer service and satisfaction is very important to us and we strive to work with our customers through every phase of the roofing replacement process. We will work with you closely to make sure you understand every step of the process and that you are getting exactly what you want out of a new roof. We also only work on one roofing project at a time, so we can give each job our full and undivided attention. We will complete your roofing replacement project and all the cleanup before we move on to another job. We are also fully insured by the WSIB. This is important because it means we have taken all the steps possible to make sure that if there was an on-the-job accident or if someone was injured, we would be covered to take full responsibility. We are also accredited by the Better Business Bureau, so you know that you are working with a reliable and trustworthy company. At Slippery Slope Roofing, we would love to work with you on your next roofing replacement project. Call us today for a free estimate!